In the stimulating battlefield, the sniper feels like killing people who are thousands of miles apart and rarely hears that snipers need to pay attention to anything other than shooting, but it is actually in modern times. In the war, snipers are generally equipped with an observer, and the observer’s job is mainly responsible for recording some of the data (such as task overview), analyzing the terrain and distance of the target area, calculating the index of the ballistic offset. Of course In the game, because the relevant information is much better than it is in reality, Our snipers generally only need a certain distance determination and gunning skills. You can easily hit the enemy . Here we talk about how to use the commonly used 4X lens for distance measurement in combat. To be aware, in the stimulating battlefield, the simulation of the trajectory is more realistic if we can quickly based enemy distance then The bullet angle is dropped to ensure that the bullet does not glow. 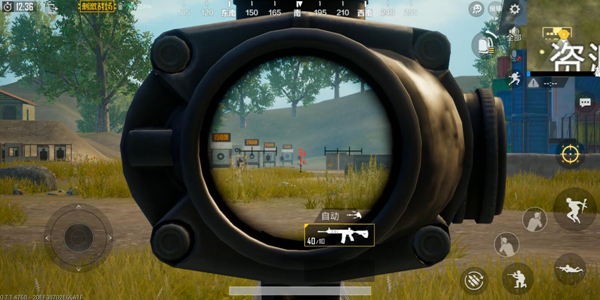 Here are examples of the most commonly used 4x lens The reason is that the 4x lens has very good generality, and if it is a gun, it is not limited to sniper rifles. 100m ranging, many enemies of this distance are not Need to range can be directly killed, but we are talking about purely theoretical things, for the sake of rigor or talk about the principle of ranging. 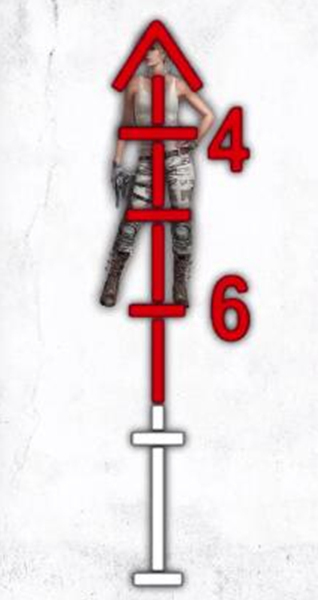 When the enemy is within 100m, the enemy’s head is larger than the lower two corners of the sight, which means that if the head is larger than the triangle, we can directly use the vertex in the sight to shoot, as shown in the figure below. 200m rangefinder, if the enemy’s head is smaller than your triangle, but the shoulder is bigger than the lower two corners of the triangle, then the distance between the enemy and us is 200m, but in actual combat, the enemy is not We must always face us. At this time, we can use another method to determine the distance. That is when the enemy is as high as our red aiming line, it is exactly 200m away from us. Then we need to use the triangle. Aiming at the position below the vertex. 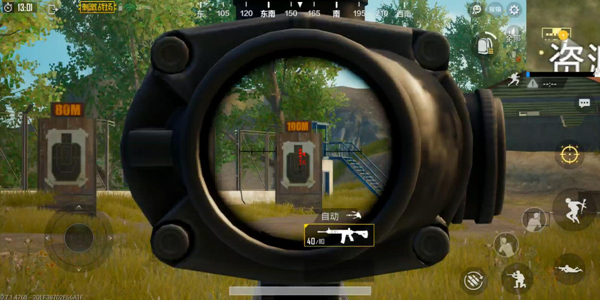 300m distance, if the size of the enemy is from the top of the triangle to the height of the number 6, the enemy will be in the position of 300m. At this time, we should aim at the top of the red vertical line. 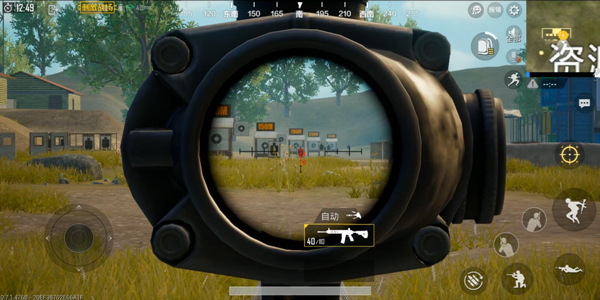 400m Ranging, when the enemy is as wide as the first horizontal line on our sight, we can determine that the enemy is exactly 400m away from us, then use the horizontal line labeled “4”. The intersection with the vertical line can directly hit the enemy. The 500m, 600m range is exactly the same as 400m, except that the line used is more down. Seeing that there are many friends who want to say this, why should I measure Ah, if you don’t know if you hit two shots, then it’s better to be pre-judgment, but we need to know that there are often not many opportunities for attack, such as as the ambush party. In the event of a mistake, it is very likely to cause alertness to the enemy. What snakeskin walks , smoke bombs, hides bunkers Etc. If this happens to catch up with the brush circle, it is very likely that we are in a very dangerous situation. After learning distance measurement, the hit rate of the hit static distance can be greatly improved. As well as being able to better anticipate the aiming position of the moving target, the battlefield environment is very complex in the exciting battlefield. The longer the confrontation with the enemy, the higher the possibility of accidents. There is a good sighting habit that can make our operations more effective. Efficiency, reduce the chance of accidents, and increase chicken consumption.